Chris is a part-time analyst focused on acquisitions. He worked previously at Sperry Van Ness as an Investment Sales Analyst and at J. Rockcliff Realtors, where he focused on residential sales. Chris is a student at the Berkeley Haas School of Business, where he plans to graduate with a Bachelor of Science in Business Administration in 2018. 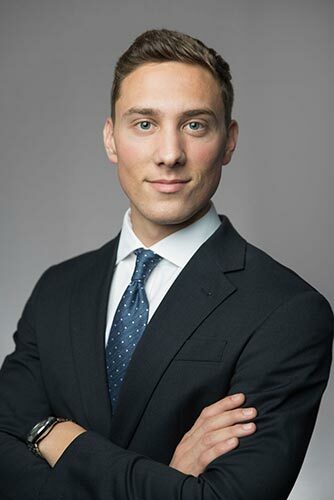 Chris serves as the Vice President of Private Equity for UC Berkeley’s Undergraduate Real Estate Club and holds a real estate broker’s license.